The artist Paul Neagu (Bucharest, 1938 – London, 2004), whose work makes the object of this special exhibition, was a seminal figure of the Romanian and British abstract and conceptual art in the 1970’s and 1980’s. Often considered to be the most important Romanian sculptor since Constantin Brancusi, Paul Neagu left his native country in 1969, and settled in London, where he had a prolific career, and lived until the end of his life. His experimental and philosophical approach to sculpture, as well as his meaningful teaching at the Royal College of Art, and later at Slade School of Art and Hornsey College had an outstanding influence on his students, some of them now famous, such as Anish Kapoor, Antony Gormley and Tony Cragg. This exhibition aims to present for the first time to the Dutch audience key works from his outstanding oeuvre, emphasizing the most important conceptual motifs and recurrent themes from different creative periods, as well as introducing his diverse artistic practices, which integrates performance, sculpture, drawing, painting and photography. Including a selection of works coming from important private collections from Romania, France and The Netherlands, this exhibition at Parts Project, although rather small, offers a fascinating reading of the multiple significances of Paul Neagu’s work, confirming once again his place, both in the pantheon of British minimalist art and in the Romanian tradition of working primarily with symbolical and universal meanings. The works for this exhibition were generously loaned by the following private collections: Ovidiu Sandor, Mircea Pinte and Mihai Nazarie from Romania, Artur Trawinski and Irmina Nazar from France, and by Cees Hendrikse and Maria Rus Bojan from The Netherlands. 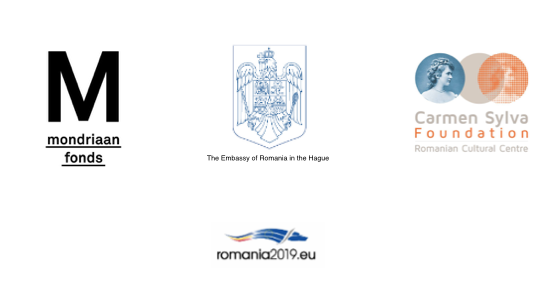 The exhibition is organized by Parts Project in collaboration with the Embassy of Romania in the Kingdom of the Netherlands, and the Carmen Sylva Foundation, Rotterdam.